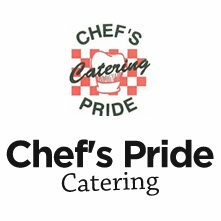 Southwest Buffet $27.00 Service Package – Chef's Pride Catering, Inc.
Price $27.00 per guest with a minimum guarantee of 100 guests. Price $29.00 per guest with a minimum guarantee of 75 guests. Price $32.00 per guest with a minimum guarantee of 50 guests. Please note: Clients are more than welcome to bring in your own paper goods….but we do not handle real china with this package. Pricing is based on events being held in Traverse City ending time of 11:00 pm. Please note that if you would like to have two staffed bars there will be an additional $450.00 charge for the evening. Paper Goods Price Quote with a minimum guarantee of 100 guests. If you are interested in securing your event a $600.00 Non-Refundable Deposit will be required in order to secure the date. Deposits are deducted off final billing.